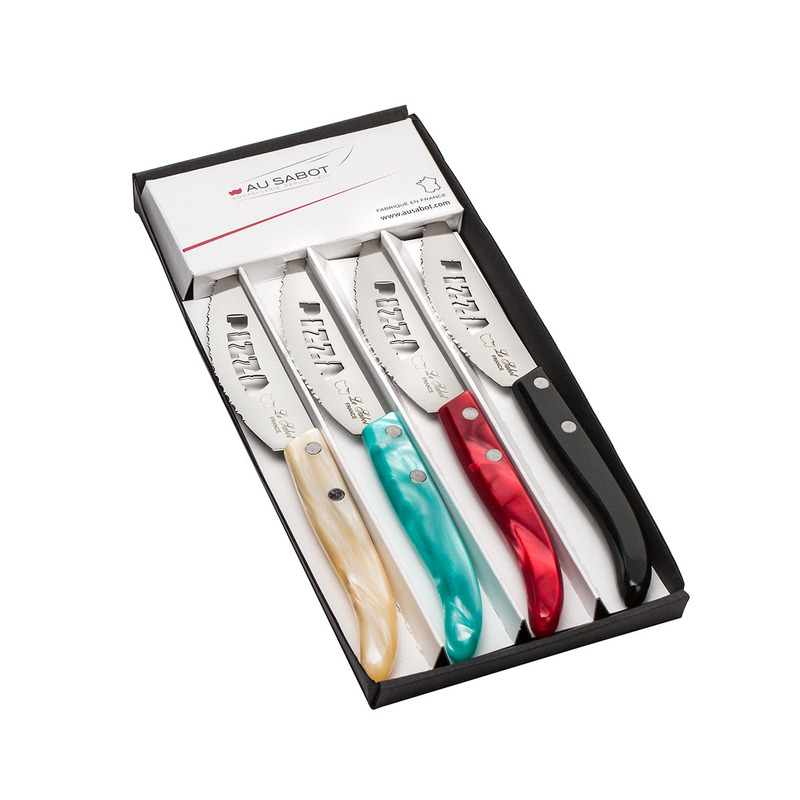 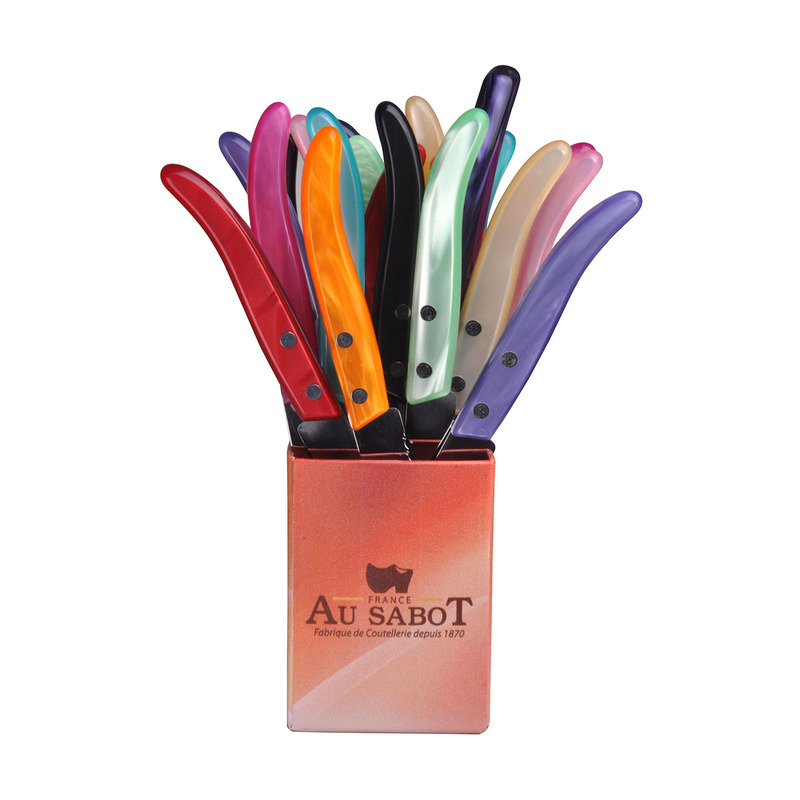 Whether dining with friends or picnicking in the garden, these steak knives come in a wide range of vibrant colours that will light up any table. 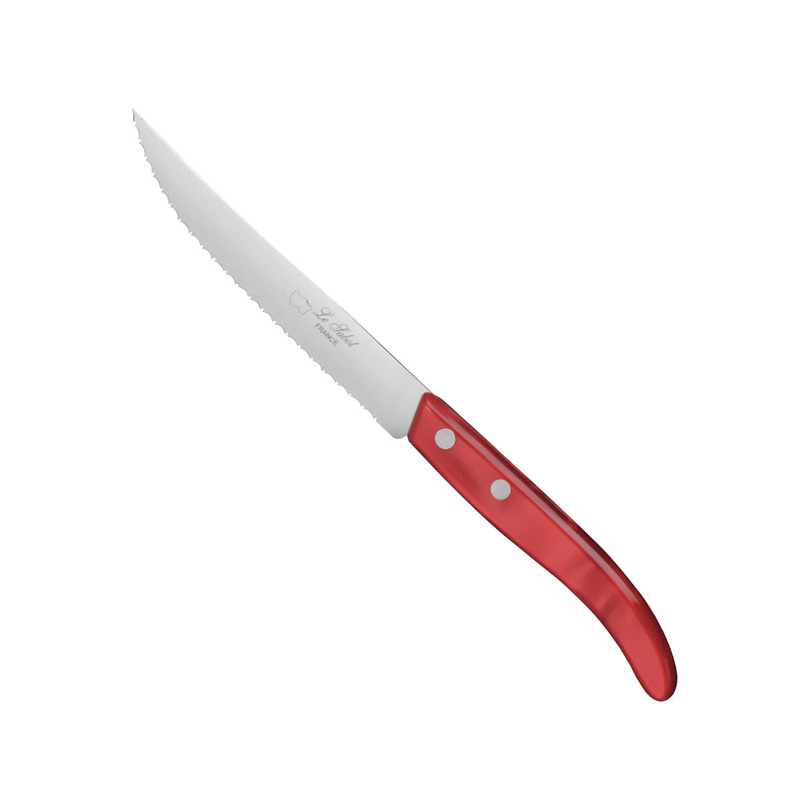 Steak knife with serrated blade. 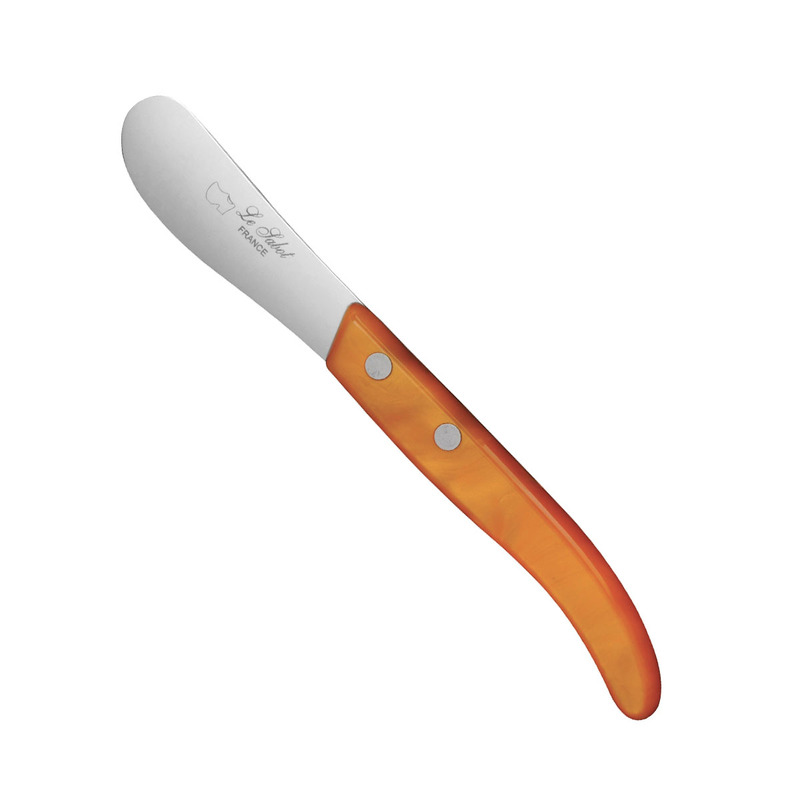 Pizza knife with serrated blade.